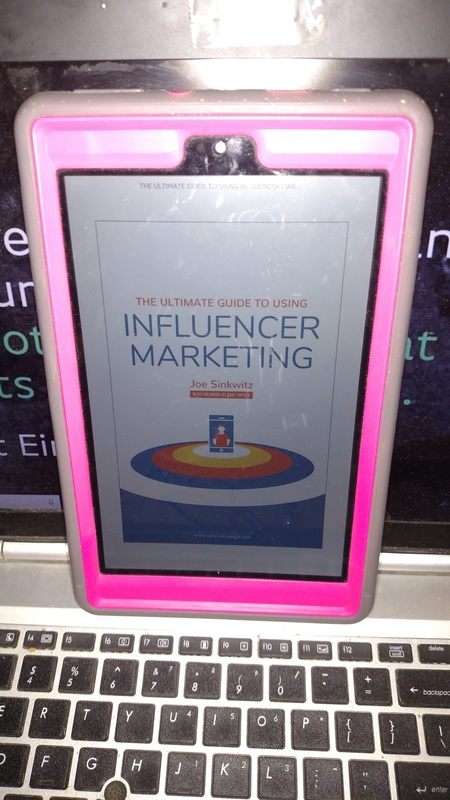 Before I get started on this review, I’d like to share that I received compensation and a free copy of this book, The Ultimate Guide to Influencer Marketing by Joe Sinkwitz with a foreword by Dave Snyder, in exchange for posting an honest review here on Intrinsic Vicissitude. I chose the Kindle version of the book because I love being able to start reading as soon as I get inspired by a topic. One specific thing I liked about this book is that it includes information for both digital publishers and influencers. I’m so happy to say I didn’t find anything I specifically disliked about the book; though I will note that it’s written for advanced readers. My “day job” is copywriting for other businesses, and one thing that’s frequently stressed is to keep writing at around a fifth-grade to eighth-grade reading level to make it comfortable and enjoyable for readers, and I would guess this to be written at a level geared toward an advanced-level reader. While I don’t want to give away the specific tips I found in the book that cover my situation and apply to my sites, I would like to mention that I found a lot of actionable information. When I read this type of instructional book, I read looking for things I can do that apply to whatever aspect of digital publishing I’m working on right then. This is where this book, The Ultimate Guide to Influencer Marketing, which is available on Amazon, really becomes a “win” for me. I get to enjoy life from both sides of the influencer marketing world because, in addition to being a digital publisher, I’m also dabbling in the influencer side of this equation through Intellifluence. There’s SO much to learn about influencer marketing, though, like the part about being upfront when doing a paid review. The key seems to be in being honest, both in reviews to keep your credibility with your readers and social media followers – and with disclosures, which the book explains much better than I could.